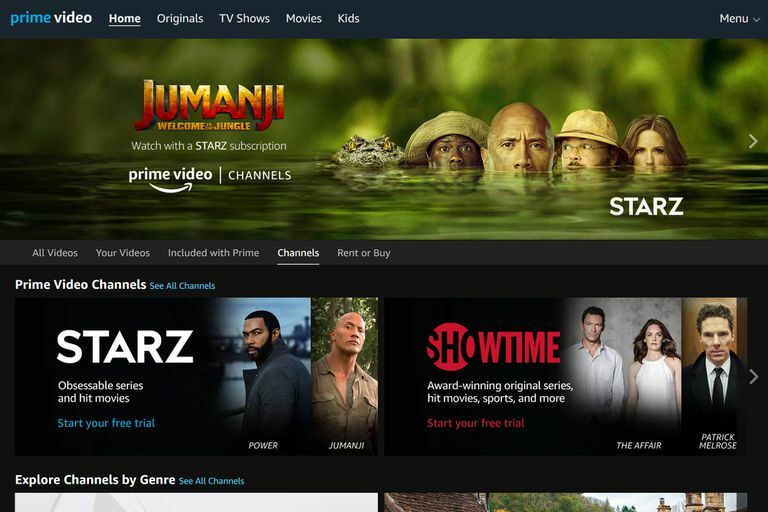 You may have subscribed to HBO, Starz, Showtime, or some other TV and movie service to complement the offerings of your Amazon Prime subscription. However, it might be time to cancel those Amazon video subscriptions or free trial once you've watched all the episodes of the show you'd been dying to binge. Here's how. Regardless of which streaming video subscription you've added to your Amazon Prime account, you'll be able to follow the same steps to end your subscription or the free trial of each. Here's what you need to do. First, you'll need to be signed into the Amazon Prime account that has the linked video subscriptions. Select Accounts & Lists, found in the main navigation bar near the top of Amazon's website. Use the Accounts & Lists drop-down menu and select Your Account. From there, scroll down to the Memberships and subscriptions section and select Prime Video Channels. This will take you to a page where you can view and manage all of your video subscriptions and trials. You can also jump straight to the subscription management page. In the Actions column select Cancel Channel(s) to end your subscription to an individual service. Confirm your desire to cancel your subscription in the box that appears. If you want to cancel an Amazon HBO subscription or any other subscription, but you follow the steps above and can't find the video channel you're trying to cancel, it's possible you don't actually have the subscription. Amazon Prime alone offers a wide selection of premium video content, including plenty of popular shows from networks like HBO. If you have access to shows like The Wire from HBO or Californication from Showtime, it may be content included with your Amazon Prime membership and not part of an additional subscription to those add-on channels. Also, if you decide you still want to use one of the Amazon Prime Video Channels after you've canceled, the same steps for canceling will lead you to an option that lets you resume your subscription. Once you've used up a free trial, it's unlikely you'll get the same free trial a second time.